It’s the 30th anniversary of RAHB’s annual charity auction in support of the Children’s Fund, and it’s going to be a very special occasion – four course dinner, live auction, silent auction, games, draws, music and more! New this year: the Golden Ticket! Purchase a $100 Golden Ticket for the chance win your choice of any of the live auction items as your prize – the value of the prize can be up to $5,000! The only catch? You have to attend the auction to purchase a Golden Ticket, and they will sell quickly – only a limited number will be available! 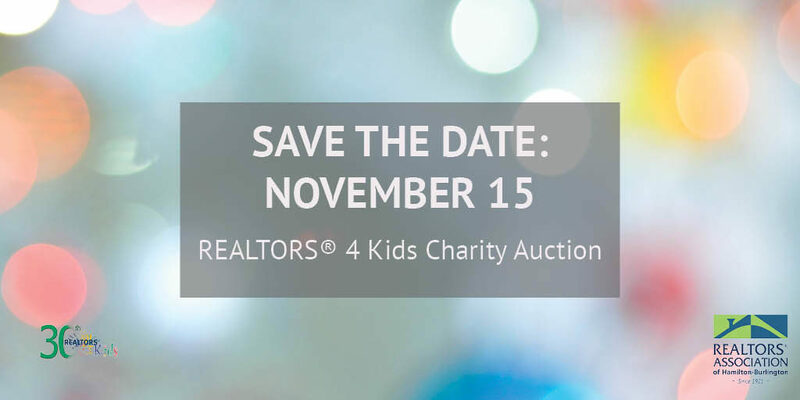 Tickets for REALTORS® 4 Kids Charity Auction are only $75 per person; buy yours today! Visit out website here to purchase your ticket or to donate to the Children’s Fund. If you cannot attend the event but you still want to contribute, please donate to the Children’s Fund here.